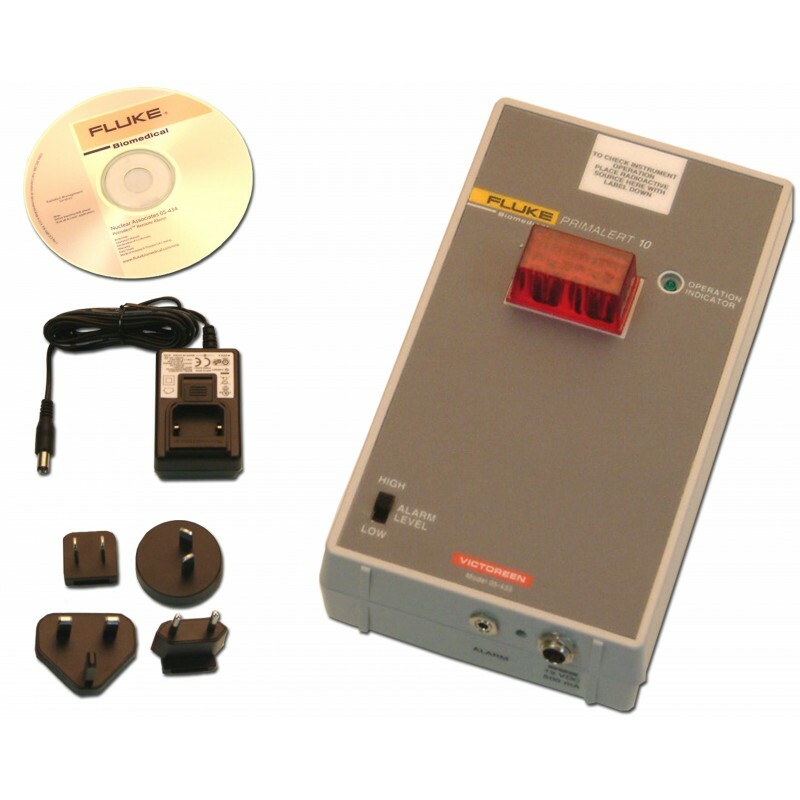 PRIMALERT 10 Radiation Monitor - Radiation Products Design, Inc. 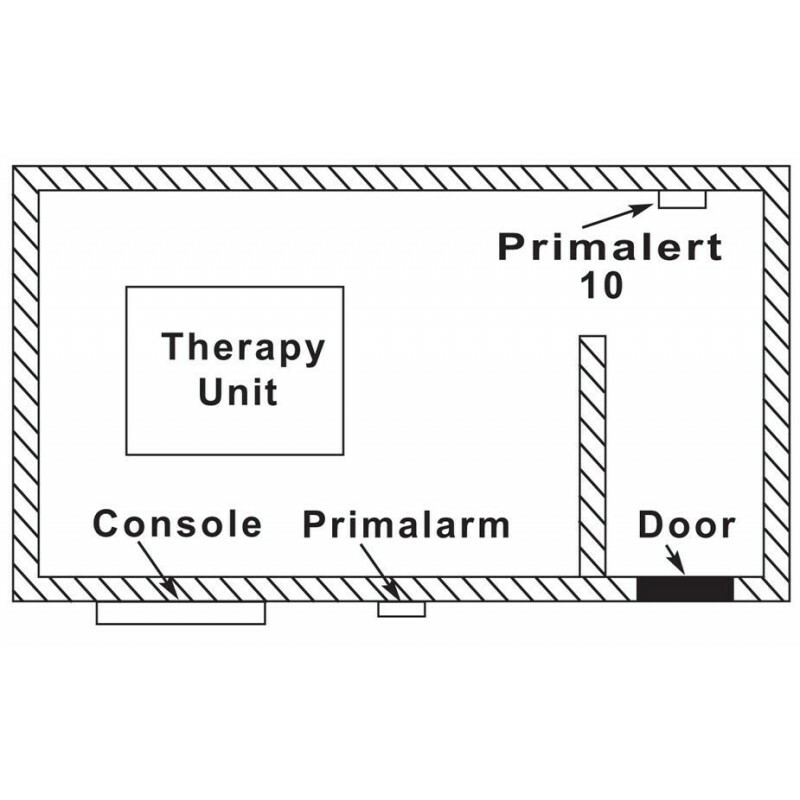 The NRC requires that every teletherapy room have a permanently-mounted, continuous, radiation monitoring device with an emergency back-up battery power source. The PRIMALERT™ 10 with a PRIMAPAK™ II Battery Back-Up (Item 337-140), meets this requirement. The PRIMALERT™ 10 is a compact monitor that responds to scatter radiation and can be mounted anywhere in the teletherapy room. A pair of bright red lamps on the instrument face flashes a warning when the source is exposed and continues to flash until safe conditions are re-established. The flashing green “Operation Indicator” light continuously monitors the background radiation and provides visible indication that the instrument is functioning. The range of the PRIMALERT™ 10 may be modified from 2.5/20 mR/h which is the standard for the range switch LOW and HIGH positions. The customer can make the modification to provide any of the following two range positions: 2.5, 5, 10, 20 or 40 mR/h.